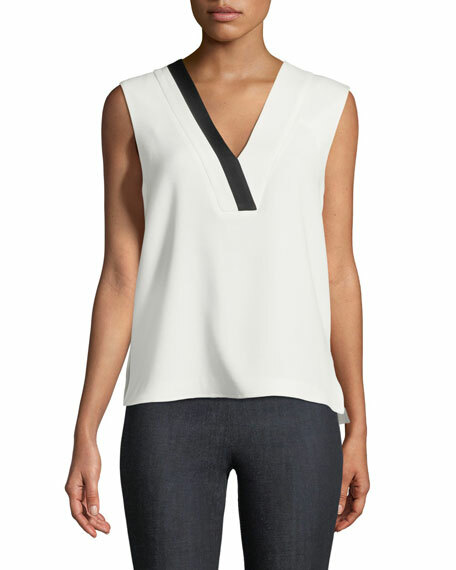 Rag & Bone "Lodwick" crepe top. 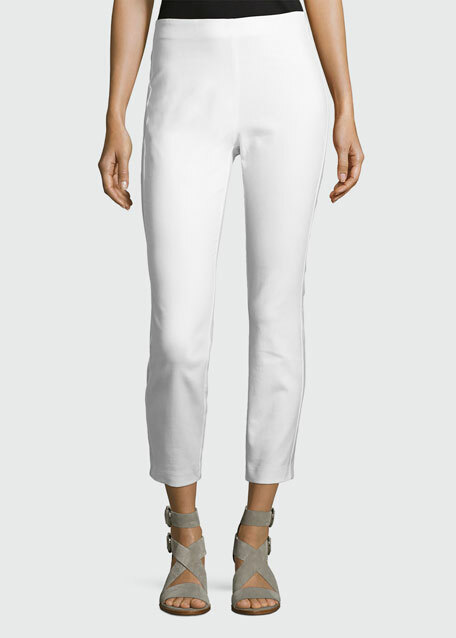 For in-store inquiries, use sku #2507806. Alexander McQueen blouse in silk crepe de chine. 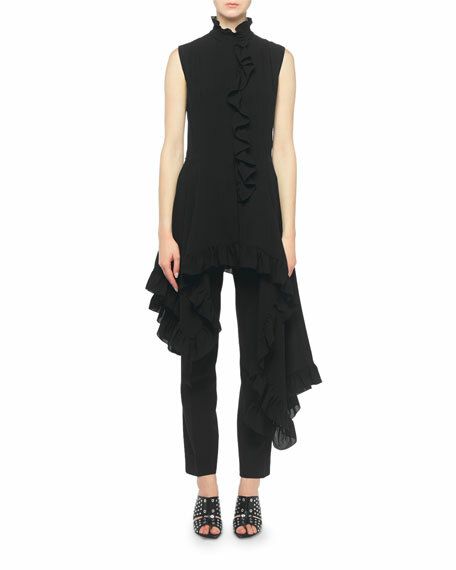 High neckline; cascading ruffle front. Sleeveless. Asymmetric, draped hem. A-line silhouette. Silk. Made in Italy. 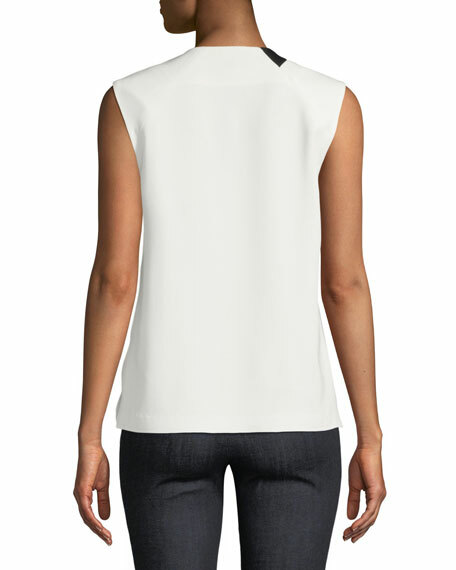 Rag & Bone "Debbie" top with gathered snap details at front. V neckline. Long sleeves. Relaxed fit. High-low hem. Slipover style. Triacetate. Dry clean. Imported. 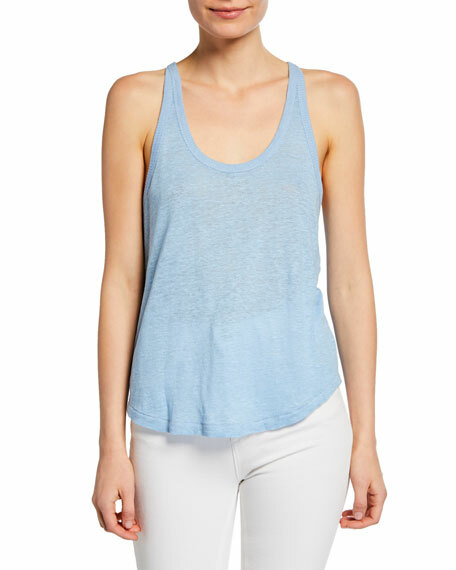 Rag & Bone "Gage" linen tank top. Approx. 24"L from shoulder to hem. Scoop neckline. Racerback. Sleeveless. Relaxed fit. Curved hem. Pullover style. Linen. Hand wash. Imported.